Led by Iron Chef America judge, Simon Majumdar, this course provides both the necessary techniques and classic recipes of Indian cuisine. Indian food is known for its complex flavors, fresh ingredients, and regional influences. With an emphasis on spices and hands-on cooking, this cuisine fills the kitchen with a heavenly aroma and wonderful memories. While Indian food may seem intimidating, this course provides valuable instruction for chefs of every level. You'll learn the basic techniques of tempering oil and toasting spices, as well as the recipes for many beloved Indian classics. 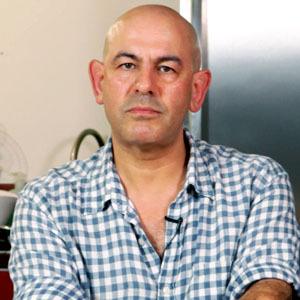 This course is led by Simon Majumdar, a Judge on Iron Chef America, the Next Iron Chef, and Cutthroat Kitchen. Simon is also a celebrated writer and world traveler, using his relationship with food to tell inspirational stories of eating and adventure. This homemade version is just as flaky, puffy, and pillowy as the naan prepared in the Tandoor oven at your favorite Indian restaurant. "One of the most favorite things that I serve whenever I'm doing an Indian meal is this chutney." This classic Indian sauce is rich and flavorful, and can be used on top of shrimp, fish, chicken, and vegetables. Paneer is a fresh curd cheese that is light, flavorful, and easy to make. "A favorite dish in any Indian restaurant, saag paneer is the Indian version of creamed spinach with lots of spices."